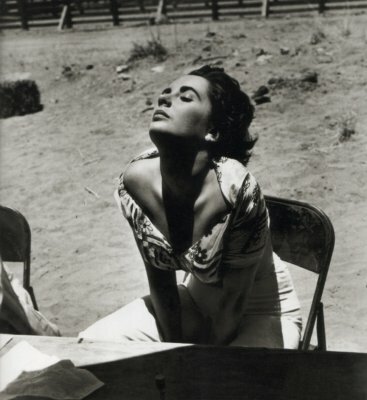 With Elizabeth Taylor's passing it pushes me to tell you that she was a beautiful woman in the movie Giant. She played a gorgeous woman who wore a dress perfectly with the refusal to be defined by it. She wanted to be accepted as one of the guys. All I know of her real life is that she has been known to say things like... just because a woman grows older doesn't mean she has to be less glamorous. She was an AIDS spokeswoman, which may have been born from her connections with Rock Husdon, this I don't know. As I may not have been a follower I did respect her as a major Hollywood building block. Another reason she is known to me is my insatiable infatuation with James Dean. Not only did they act together but they were best friends. It makes me smile to think they are together again.